Thomaston – Nicholas L. Samela, 69, passed away on Friday, August 17, 2018. Nick was born in Waterbury on May 16, 1949 to Leonard and Marion (Clark) Samela. 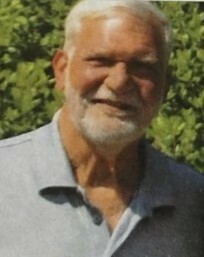 Left to cherish his memories are his wife of 10 years, Pamela (Simpson) Samela; his daughters, Sara Samela, and her fiancé, Raymond Panlilio; and Jennifer Samela, and her wife, Amy Watts; his granddaughter and the apple of his eye, Sadie; his step children, Richard Delong, his partner Tonya, and their daughter, Navaeh; and Christopher Delong, his partner Michelle and children, Jonathan and Meghan. Nick was a lifelong resident of Thomaston, attended Husson College in Maine, and was an active member of the town throughout his life. He worked at Curtis Packaging in Sandy Hook, was a Justice of the Peace, on the Board of Tax Review in Thomaston, and was very active in the Special Olympics. Nick was an avid golfer and enjoyed making wine. He also sang for the Liederkranz in Thomaston and the Barnstormers throughout New England. Nick was a very caring person who would do anything for anyone. His love, life, and laugh will be missed dearly. Calling hours will be held on Thursday, August 23 from 5 to 7 p.m. at Lyons Funeral Home, 46 High Street, Thomaston. A funeral service will be held on Friday, August 24 at 10 a.m. at St. Peter’s Trinity Church, 160 Main Street, Thomaston. Meet directly at church. Burial will follow in Hillside Cemetery, 158 Main St., Thomaston. In lieu of flowers, memorial contributions may be made in Nick’s name to LARC (a division of the Special Olympics), 314 Main St., Torrington, CT 06790.